212 pages | 12 B/W Illus. 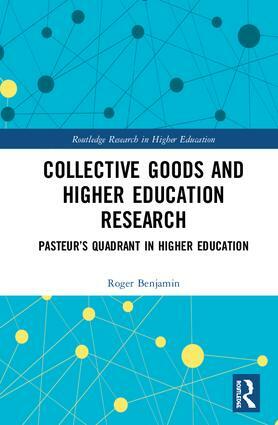 With this volume, the author demonstrates how a collective goods approach to higher education research can alleviate problems of rising costs, declining resources, and growing concerns about undergraduate learning. In taking this approach, the author presents new tools of analysis—borrowed from cognitive science, economics, data analytics, education technology and measurement science—to investigate higher education’s place in society as a public or private good. By showing how these tools can be utilized to re-orient current research, this volume offers scholars and policy makers an argument for the large-scale use of scientific and economic approaches to higher education’s most pressing issues. Roger Benjamin has been president of CAE, an education assessment testing organization since 2005.